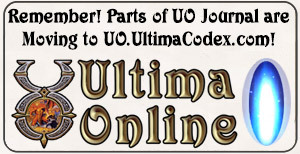 A major update on the Account Center Migration, along with a bit of news that we’ll find out more about Publish 72 and UO’s 14th Anniversary sometime next week. Early next week the Account Center will be offline for an update. We will update you on expected downtime for both the account center and game servers as we know more. We do not expect the combined downtime to take longer than several hours. Over the past week we have gathered and evaluated player inputs on the account center, and will update and adjust account information based on this feedback. We disabled many of the billing processes to avoid inappropriate or untimely charges during the transition to the new account center. Our first step in is to update and process all those on any form of recurring billing. This means If you are charged for 30, 90, or 180 days at regular periods, AND were set to bill during the period from August 5th, through the time in which we enable the account center, you will be charged. Also, during this update, we will re-enable and extend gametime for those whose accounts were incorrectly moved to an inactive status. For anyone whose accounts may have lapsed due to an expiring gametime card, your time will be appended. The ability to redeem game registration codes and other codes which allow you to connect to and play the game will run once we are confirmed the first part of the process is running smoothly. Our intent is to maintain player and character data for anyone who updated their subscriptions during this transition to the new account center. We will also re-enable account age and veteran rewards. Again, if you call into for support, please request an incident number as we are also tracking feedback for our use during this time. Thank you again, for your patience during this time. 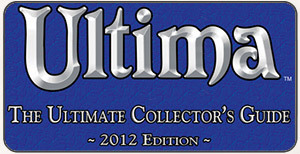 Look for information on Pub 72 and Ultima’s 14 year Anniversary later next week!